Cool! 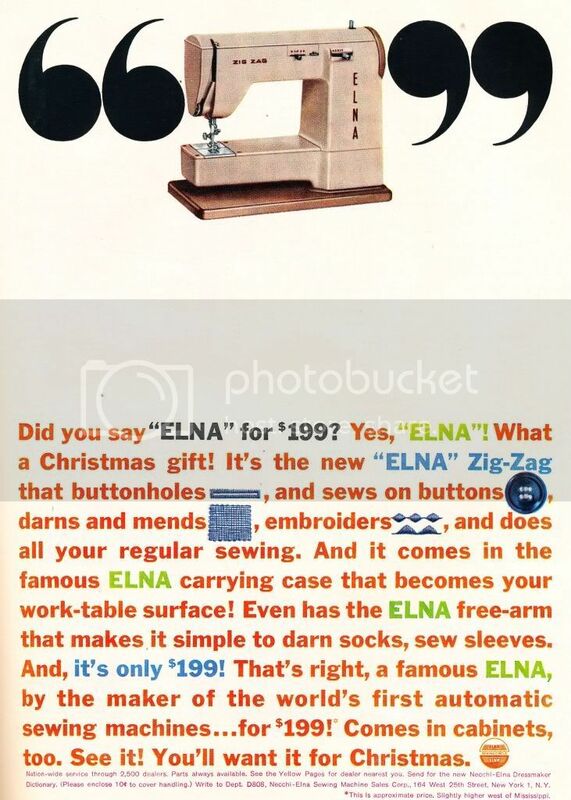 My mother bought a Brother zigzag sewing machine for the same price in 1957 when I was an infant. She always said that she actually paid "too much" for it, but she didn't feel bad at all, cuz she made all our baby clothes, costumes, school clothes and then we made our teen clothes and prom dresses, and I made my Aunt's wedding dress on that machine. I still have it!!! and it still works like a champ. It was only in the shop once... after I took possession of after it Mom died in 2007. It had a broken part on the bobbin case so wouldn't hold the thread tension anymore (plus I had it cleaned up!) It would be cool if I still had the sales slip.